What is Okra? The Okra vegetable also known as a “Lady’s finger” “bamia” or “Okro” Abelmoschus esculentus is fitting in with the Malvaceae (mallows) family. The plant is cultivated in tropical, subtropical and warm temperate regions. It is a highly nutritious vegetable that is nontoxic and safe for consumption even for young children and pregnant women. Let’s see some of the amazing health benefits of okra. Do you know Okra is a super food for diabetics. This vegetable can help you control blood sugar, manage weight and keep you away from complications of diabetes. 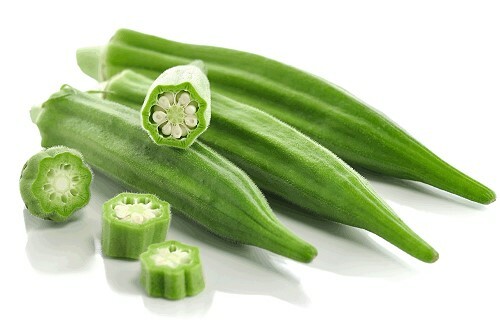 Okra or Bhindi is rich in fiber. A fiber rich diet can do a lot of good to a diabetic patient. Okra being rich in soluble fiber helps in reducing intestinal absorption of glucose, thus regulating blood sugar levels after a meal. Taking fiber in bulk quantity has several benefits. It helps digestion, cuts hunger cravings, and keeps those who eat it fuller for longer time. It’s low in calories and has a high dietary fiber content. 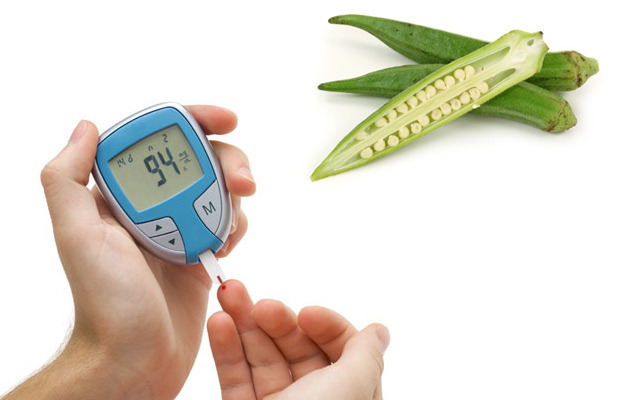 Okra has been suggested to help manage blood sugar in cases of type 1, type 2, and gestational diabetes. Also, it has anti-diabetic properties. These vegetable has certain enzymes that help metabolise carbohydrates, improve insulin production and beta cells in the pancreas, the very cells responsible for insulin production. Weight management plays a key role in managing diabetes and keeping it’s complications away and eating lady finger is good for improving weight management. Okra has a low glycemic index. Foods that are low in glycemic index release sugar gradually into the blood stream and hence help to regularize the blood sugar levels. Here is a diet plan a diabetic can use to control blood sugar better. Health Benefits of Okra: The low-calorie content (30 kcal / 100 gm) and its high fiber content make it a suitable food for weight loss. It provides minimum cals and the fiber helps in keeping you full for longer. The folate and other B Vitamins present in it, build strong bones and density, which helps prevent osteoporosis. Its high levels of Vitamin K, which is a co-factor for blood clotting enzymes, is needed for strengthening the bones. It contains soluble fiber pectin. Pectin helps in lowering the Bad cholesterol and prevents atherosclerosis by helping in the elimination of deposited cholesterol and clots. The various antioxidant components of okra make it very beneficial to fight off free radicals, but the high vitamin C content also means that the general immune system is boosted. The fiber content of lady finger helps in better digestion and regularization of bowels. pectin swells up in the intestine and helps in easier elimination of the wastes from the intestine. People suffering from constipation benefit from regular consumption of lady finger. An extremely important B vitamin for producing and maintaining new cells, folate is an essential compound for optimal pregnancy. The vitamin helps prevent birth defects like spina bifida and helps the baby to grow sufficiently. Vitamin C is also essential for fetal development. Vitamin C helps keep the skin looking young and vibrant. The vitamin aids in the growth and repair of bodily tissues, which affects collagen formation and skin pigmentation, and helps to rejuvenate damaged skin.